Don’t miss your opportunity to pick-up Pirate Football merchandise for sectional football play!! 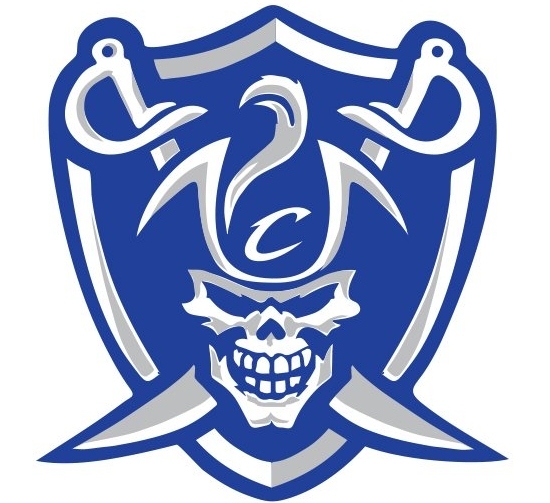 The Pirate Football program will be selling your favorite Charlestown Football t-shirt, starting at just $5.00 each, or other items including a ball cap or visor. Youth medium and large are available along with adults sizes small through 4X; however some styles and sizes are limited in quantities, so don’t waste time. Football Merchandise sales will be conducted this Friday, October 21st, from 2:00-5:00 pm in the parking lot between the Charlestown Papa John’s restaurant and the former Western Auto Store on Market Street (Hwy #3). Due to IHSAA post season rules regarding the sale of team spirit merchandise, sales are required to held off school grounds; and can not be sold at the game Friday night. Pirate Football will open sectional play Friday night in the Bone Yard hosting North Harrison, kick-off is scheduled for 7:00 pm.